After a disaster, like the tornadoes that hit us a few weeks ago, we are foremost thankful for the safety of our family and neighbors. What you hear people say while looking upon the wreckage of their home is that, of all of the valuables lost or damaged, what we value the most are our photo, video and audio memories. Three easy steps will help you to protect your memories from disaster and keep those irreplaceable memories safe. Back Up all of your photos from your computer hard drives to CD or DVD. The disaster could be as simple and as frustrating as your computer crashing. We’ve all been told before that computer back-ups need to be done, let’s make it a priority and get it done this week. Change the Format of all of your old media into much more compact and portable CDs and DVDs. Photo prints, slides, negatives and even scrapbooks can be scanned at high resolution. Films, cassettes, home videos, etc. can be transferred to CD or DVD. Grabbing a stack of DVDs will be much easier than digging through drawers and closets to pick out your variety of albums, photo boxes, VHS, camcorder tapes and movie films. 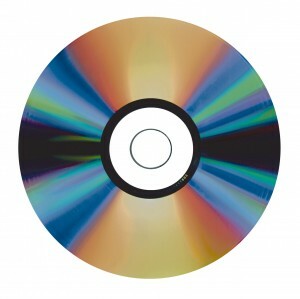 One CD can hold around 300 photos while one DVD can hold around 3000 photos (varies based on resolution and file size). Keep all of your disks in one place or even one tote so that you can grab it at a moments notice. The Straub family had 7 laundry baskets of photos and albums scanned. They left with 2 DVDs containing 10,000 jpg files of all of their photos. The Nichols brothers brought in 4,000 family photo slides and had them saved as jpg files to 2 DVDs. They also had 5 DVD slideshows created using them. Duplicate your memories by making a second copy. With disks, trade the second copy with another household’s disks or put in a safety deposit box or household fire retardant safe. With your scrapbooks, consider scanning and printing a second copy and put it in another location as well. The Straub family had a duplicate copy made and sent it to a relative for safe keeping. The Nichols brothers each got a copy of all disks so that everyone can share and enjoy the memories.